Hello and thank you for visiting! 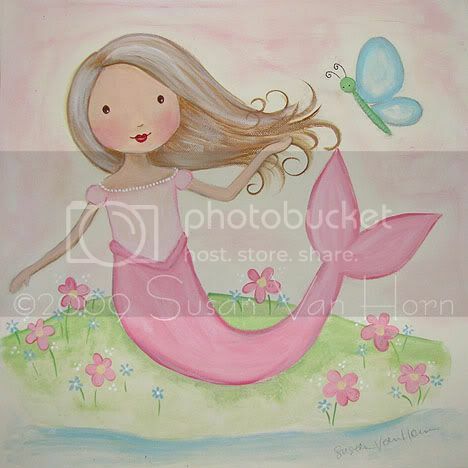 My name is Susan Van Horn and I am the artist behind My Sweet Imaginations! I am also the wife of a neuroscientist, the mother of two beautiful and talented girls, and a craft enthusiast! This blog will shut down on Sept. 15 as that is the end of my billing cycle. Please update your links if you would like to stay in touch! Hope you all have a lovely Labor Day weekend! My blog has moved. Please visit sweetimaginations.blogspot.com from now on! New toys for better photos! Hi folks! I have a new post on my new blog showing just a bit of my new photo set up. Come on over and see!... sweetimaginations.blogspot.com . New doll on new blog! Just posted a picture of a new doll I'm working on over at http://www.sweetimaginations.blogspot.com/. Please come on over if you'd like to see! She will be available for sale in my shop soon...she's not quite finished. *Update: my website now forwards to my blog and is no longer available. When I'm ready to take on customs I will put a price list and contact info on one of the sidebars of my blog (and, of course, will send a note to my mailing list as promised!). Also, I've found something that I like: Cork Board. Personally I like these super cool Bulltin Boards, but there are more that made a good impression to me. Just search around these Cork Boards and see what you like. I will continue to post here at typepad for a bit, but I"m in the process of moving my blog to blogspot.com as it's free and I can make it cuter. I'm still learning over there and will be updating and changing, but here is the link: sweetimaginations.blogspot.com. If you are a blogspotter, you can sign up on that "follow me" list thing! You may have noticed when you go to my website, it now links to this typepad blog. I don't really use my website and I figure it's a waste of time and money. For now when you go there, it will simply redirect here...and eventually when I'm all moved, it will redirect to my blogspot address. I am working on simplifying not only my home life, but my online life as well. It is my goal this year to really start creating and producing items so that I'm actually making a helpful income to the future of my family. I am going to keep my business to my blog and my Etsy shop. I prefer Etsy as it helps me keep track of my sales and costs for tax time all in one place. I've had a lot of opportunities to expand my business, but I've decided I like being small and simple. Just me, just original art (no prints) and just at my own pace. I find when I keep things simple I'm a much happier and efficient person. That's not only good for me, it's good for my family! Each new post will be made here and there, so don't feel you need to check back here once you have bookmarked my new blog. I'll probably leave this one active for a few more months, then will cancel it. Thanks so much for the support and interest. I wish more of you would leave comments...I know you peek as my counters are going up, but I'd love to hear from you and about you as well!!! You can also tell me what you hope to see me create...I've been getting lots of requests lately and I'm making a list! As long as it isn't something like recreating the Mona Lisa, I just might do it! I'm always on the lookout for new foods to add to our menu for health, without sacrificing taste. A neighbor was given this recipe for a protein shake from her personal trainer and told to eat this for breakfast. The neighbor claims it keeps her full much longer than any other breakfast, plus it's very healthy! My 8 year old loves it too...and I always have trouble getting her to eat a healthy breakfast. *I added 1 tsp. of unsweetened dark cocoa powder to mine as well to get a little extra antioxidant power and add to the chocolate taste. I love my chocolate! Finished my mermaid today. She's a bit different...tried to make her more watercolor-like. She's in the shop.